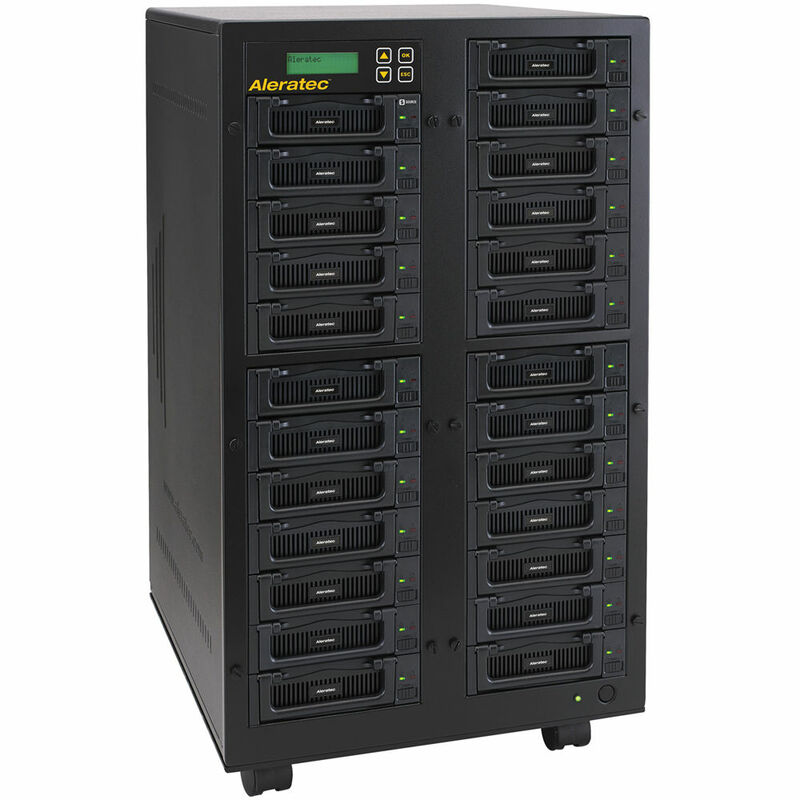 The 1:24 HDD Copy Cruiser IDE/SATA High-Speed Duplicator from Aleratec is an industry-standard, standalone hard disk drive duplicator that can create up to 24 clone hard disk drives simultaneously at speeds of up to a blazing 120 MB/s. It can also securely wipe all the data from up to 25 hard disk drives at a time with Secure Erase or your choice of three comprehensive sanitization algorithms: a 1-pass wipe, a 3-pass wipe with verify or a powerful DoD 5220/22-M 7-pass wipe. The IDE/SATA high-speed copy cruiser offers independently verified overwrite sanitization as well as Secure Erase. Secure Erase is a National Institute of Standards and Technology 800-88 accepted technique for properly purging hard drives. This method is supported by almost all modern SATA hard disk drives. The 1:24 HDD Copy Cruiser IDE/SATA High-Speed Duplicator performs a sector-by-sector copy from a single source hard disk to up to 24 target drives, regardless of the brand, operating system or format of the drive. The copy includes partition and boot sector information for a perfect clone. Box Dimensions (LxWxH) 23.0 x 20.5 x 20.5"